Featured, Music, Now Hear This! 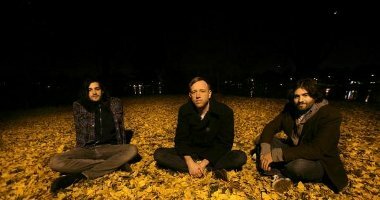 Brooklyn’s Monogold brought their lush, ambient sound onto the scene in 2008 with their debut EP, We Animals, followed by a CMJ showcase, heralded as “one to see” by many. This led to immediate attention from the likes of Spin, who included their song “Feel Animal” among their year’s top ten. Not too shabby for a band just starting out. 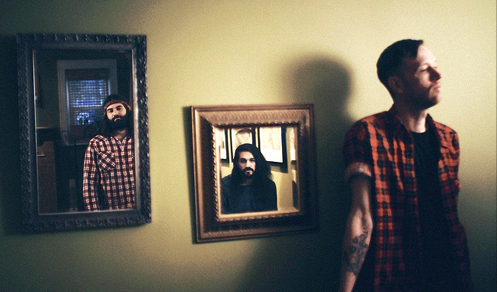 Their latest album, The Softest Glow, has garnered even more notoriety for the trio, leading to prime spots at SXSW 2010 and shows like October’s Brooklyn Night Bazaar with Yacht. Singer Keith Kelly recently chatted via e-mail about some of Monogold’s best collective band moments as well as how it feels to “model” for a Google app. Where did you write and record your first EP? What was your first show like? Half of it was recorded in my bedroom and the other at our studio upstate… We had never really played them [the songs] live before, aside from trying to get it right in rehearsal, so we decided to play it safe before our CMJ show and try them out in a somewhat live capacity, but preferably not in front of anyone we know or in any local venues; in the event that we bombed, no one’s the wiser, except us. So we booked a gig out in Staten Island at some rock/metal bar right around the corner from where Mike grew up. To say that show was awkward and hilarious would be an understatement. At one point, I hid on the side of the stage behind a curtain, while Mike [Falotico, bassist] fumbled with a keyboard that kept shutting off, muttering slurs into an extremely loud mic, and Jared [Apuzzo, drummer] struggling to shut off a sampler that was randomly going off for no reason. Good times, Good lesson! 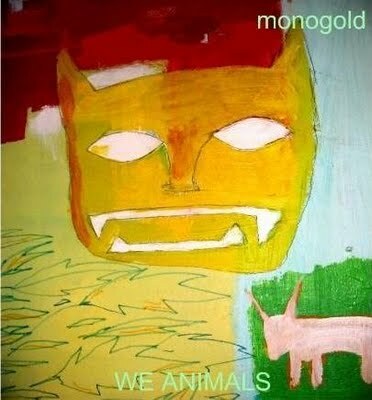 What’s one of the most notable things to happen to Monogold as a band so far? One of the most interesting things to have happened to us might just be the most recent… We were asked to go out to L.A. To play and to be used as sort of a prototype for Google’s new music application. Google essentially has just recently launched their own music app which should be taking over iTunes, and they used us at the conference, presenting it while we played in he background. It switched over later to Busta Rhymes and Maroon 5 etc., but it was so strange to keep reading “Brooklyn’s own Monogold and Busta Ryhmes were on hand in L.A. to help launch Google’s new program etc.” Really weird and awesome! Who’s your favorite musician, living or dead, and what would you ask them if you had a chance? Musical hero alive or dead? Probably Elvis. I think Id have to ask him where he got that outfit for his comeback special, and if I could borrow it. What are some of the most frustrating aspects of being in a band? 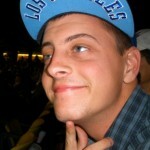 By Madeline Virbasius on December 21, 2011 in Featured, Music, Now Hear This!